DomaCom provides retail investors, advisers and their clients the edge when it comes to investing in the best residential property in Australia. Blending institutional grade property research with individual property buyer’s agents to select properties for investors, DomaCom put its clients directly in the driver’s seat. DomaCom offers the ability to invest in residential property in the city of your choice through our Top Australian Suburbs Strategy crowdfunding campaigns. DomaCom draws on the best sectors from the CoreLogic – Moody’s Analytics Australian Forecast Home Value Index, to identify suburbs that are projected to deliver the best growth for the selected cities over a 10-year horizon. DomaCom will then appoint the buyer’s agents to choose specific properties within the selected suburbs. Moody’s Analytics extensive economic forecasting expertise coupled with CoreLogic’s leading historic indices, provides investors with trusted insights into the future trends of Australia’s residential property market. DomaCom is pleased to be able to incorporate these forecasts in the selection process of properties for investors. Generation Y and Millennials can use DomaCom to save their money in property in the areas they are interested in, receiving both rental income and capital growth – a significant advantage over saving in low-interest rate accounts in bank accounts. Investors and Self Managed Super Funds (SMSFs) can use DomaCom to invest in residential property up to amount they deem fit and to spread their investment across multiple cities to achieve a comfortable level of diversification. We’re pleased to report that following a four-and-a-half-year process of consultation with the corporate regulator, ASIC, we believe we are one step closer to delivering our senior equity release (SER) product to the market. An in-principle ASIC relief, which is subject to conditions and requirements, gives us the green light to launch a new suite of products that will allow retired Australians to sell part of their home to help fund their retirement. Our SER product has the potential to be a meaningful solution to one of the most intractable challenges facing our economy, i.e. the difficulty for many Australians in funding their retirement. Subject to the official relief being granted, we expect the SER product will be released in the first quarter of 2018. Stay tuned for more information. We are progressing with our efforts to seek a declaration by the Federal Court that will hopefully confirm the DomaCom Fund sub-funds are not in-house assets or related trusts for the purposes of the SIS (Superannuation Industry Supervision) Act. A hearing date at the Federal Court took place at the end of November 2017. Such a ruling would confirm that SMSFs can invest in property sub-funds where the tenant of the underlying property is a related party of the SMSF. Residential property can be used as an anchor asset class for the superannuation portfolios of Gen X/Y investors, which can then expand to other asset classes later in life. We will keep you posted on the outcome of this Federal Court determination soon. We are pleased to notify you that following our Extraordinary General Meeting of Members of the DomaCom Fund last Wednesday, 29th November 2017, Melbourne Securities Corporation Ltd (MSC) AFSL No.428289 has been appointed as Trustee and Responsible Entity of the DomaCom Fund. MSC is a professional trustee firm, licensed by the Australian Securities & Investments Commission (ASIC), that will represent and act in the interest of investors, provide regulatory compliance oversight as legislated by the Corporations Act 2001 and in reference to ASIC guidelines. Perpetual Corporate Trust Ltd (Perpetual) remains as the Custodian of the Fund who holds the title for each property. This exciting development for DomaCom will pave the way for the introduction of gearing facilities being rolled out in our product offerings and will further open up a significant pool of investors to us, by enabling them to incorporate debt when investing in property. This will make property investment much more tax efficient for you and your clients, as well as reducing the amount of equity required to raise for each project. Given how integral debt is to purchasing property, this creates a really compelling proposition for your clients which enables them to achieve a more tax efficient outcome when investing in property through DomaCom. An updated Product Disclosure Statement (PDS) for the DomaCom Fund dated 4 December 2017 is available for you to download from our website. 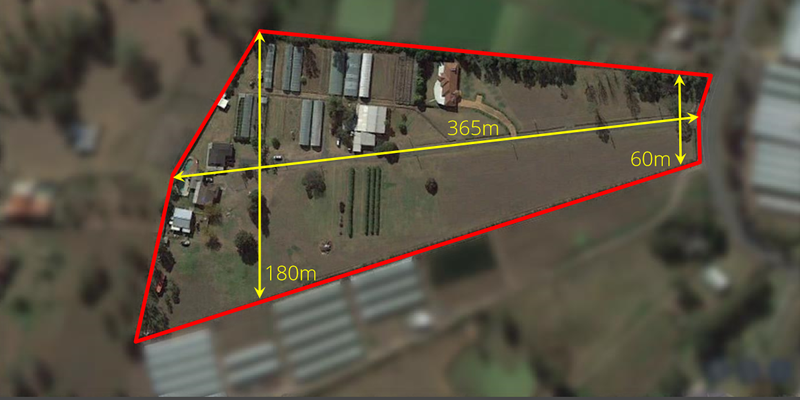 DomaCom is working with KSI investments to create the Rossmore/Badgerys Creek, NSW landbanking crowdfunding campaign that may be of interest to your clients. Landbanking is the process of investing in (identifying and purchasing) undeveloped land with a view to increasing its value over time through holding, rezoning and developing. The concept of landbanking via the DomaCom Fund is to provide a vehicle that will enable a number of investors to acquire an area of land zoned for rural or agricultural use that will, due to growth in the urban corridor, eventually be re-zoned to residential. DomaCom now offers your clients the opportunity via the DomaCom Fund to own units in a sub-fund that will acquire the Rossmore/Badgerys Creek land site, with the aim to provide them with strong capital growth in the vicinity of 10 years. Why invest in Western Sydney? KSI via the DomaCom Fund has secured an option over the land and are now successfully raising money on the DomaCom platform. If you are interested in finding out more please visit the Sydney Landbanking Opportunity page on our website. KSI will also organise a number of visits to the site. If would like to join us, please register your interest by clicking on this link. 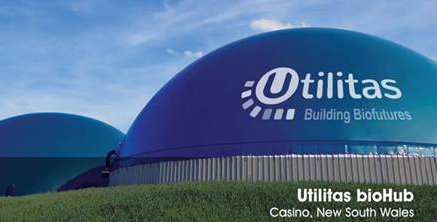 DomaCom’s energy crowdfunding campaign of the Utilitas bioHub project in Casino NSW, turning organic waste into fuel to generate electricity, is progressing. This is a great example of technology that works to benefit rural communities. With a population of over 10,000 people, Casino is the regional hub of a large cattle industry. The sheer size of biomass from sewerage treatment, agricultural and food processing industries in this region make it an ideal place to build a bioHub. Utilitas will engineer the plant following the successful acquisition of the site. Backed by multi-year energy purchase contracts with local industry, Utilitas will also be the operating tenant of the bioHub once completed. Estimated return on investment The project is targeting a 20% uplift on completion, with ongoing gross rent of 8% p.a. with an annual increase of the greater of CPI or 3%. If you are interested in this project as an investment for your clients, please visit Utilitas Biohub page on our website for more information. As previously mentioned in our July 2017 newsletter, a crowdfunding campaign to refurbish and reopen the Federal Hotel (also known as ‘the Feddy’) in Deniliquin NSW is progressing. Estimated return on investment The project is targeting a 15-20% capital growth on completion, with an estimated ongoing net rental income of 7% p.a. 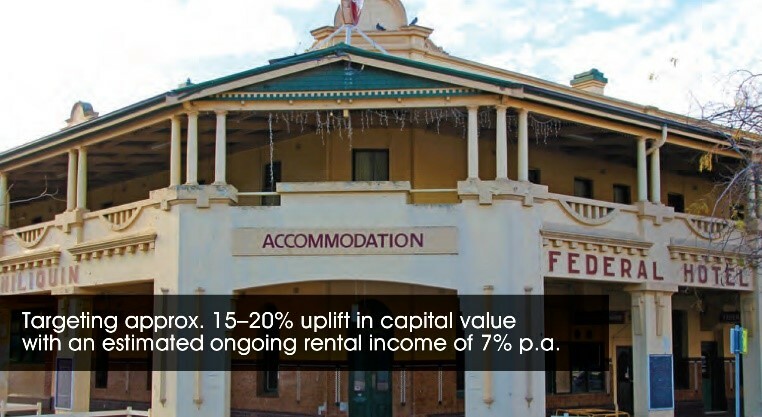 The DomaCom crowdfunding model can be employed in regional areas to refurbish disused properties such as the Feddy to enhance amenities in the community, add to the town’s business and commerce, employment opportunities, encourage population growth. DomaCom attended the 2017 National Housing Conference in Sydney in late November. This event was hosted by the Australian Housing & Urban Research Institute (AHURI). As an AHURI event that takes place every two years, DomaCom chose to participate this year to share our ideas around a crowdfunding model to provide affordable housing low-income earners where they have the opportunity to have equity in the property. Furthermore, we shared these ideas recently with the Victorian Government. The material in this newsletter has been prepared by DomaCom Australia Ltd ACN 153 951 770 the holder of an Australian Financial Services Licence No. 444365. The information given is in summary form and DomaCom does not warrant the accuracy, currency or completeness of any information contained in the presentation. Forward-looking statements may be contained in this newsletter, including but not limited to statements regarding DomaCom’s belief or expectations in respect of its business, market conditions, results of financial operations and risk strategies. DomaCom has taken due care in preparing this information, however actual results, performance or events to differ materially from those expressed or implied. DomaCom undertakes no obligation to update any forward-looking statements to reflect events or circumstances after the date of this presentation, subject to disclosure requirements applicable to DomaCom. Past performance is not a reliable indication of future performance. Any potential investors or investors are warned not to place reliance on such statements but to proceed to make an investment decision based on their own independent research and independent advice. The material in this document, is general information only and is not intended and should not be considered as constituting advice, a recommendation or an offer or solicitation to investors, or potential investors, in relation to purchasing or acquiring any securities or other financial products and does not take into account your personal investment objectives, financial situation or needs. If you are considering making an investment and before acting upon any information in this newsletter, you should read the relevant Product Disclosure Statement (PDS) and any Supplementary Product Disclosure Statement (SPDS) available on the DomaCom Ltd website, www.domacom.com.au, or by phoning 1300 365 930 and you should consider the suitability of this investment, having regard to your personal investment objectives, financial situation or needs. You should also seek independent financial advice.